One of the disclosures of the National Security Service is about embezzlement of fuel at the N military unit from December 2017 to June 2018. Criminal cases have been instituted under article 179 of the Criminal Code of Armenia, which concerns large-scale misappropriation by agreement among a group of persons, exploiting their official position. The NSS employees found out that some commanders of several subdivisions had written off and embezzled a large amount of fuel. “The fuel was withdrawn from the military unit in parts and sold to the owners of gas stations operating in the region. Then most of the money was transferred to the commander of the military unit, and the rest was distributed between the commanders of the units,” the NSS reports. The owner of one of the gas stations and the head of the fuel station service of the military unit were detained. In another military unit of the Ministry of Defense, military personnel responsible for material safety have received spare parts for automobiles’ technical repairs; they have written the spare parts off as defective and sold them in the market, and used old, preowned spare parts for repairs of military equipment and cars. For years, the issue of illegal fuel distribution in the army has been raised, but the ministers of defense and the prosecutors have neglected these facts, avoiding public explanations. On those who tried to stop the looting, military unit leaders took severe revenge, of which there are testimonies in the criminal cases on crimes committed in the army. In the summer of 2009, the servicemen from N military unit in Ararat called “Zod unit” had stolen fuel. Senior lieutenant Ayvazyan tried to hinder the thieves and, instead of being encouraged as he was expecting, he was beaten by privileged thieves of the military unit. The “Zod unit” was headed by Grisha Khachaturov, the son of General Yuri Kachaturov. This clan has been engaged in fuel business in the army for many years, and law enforcement bodies have tried not to interfere with the General’s family. 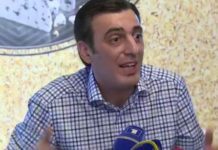 Yeghegnadzor garrison`s Military Prosecutor Tigran Sargsyan, having Narek Ayvazyan`s testimonies and obvious facts on the criminal case, did not start an “embezzlement” case. No inspections were made in the warehouses of the military unit, the amount of fuel deficiency or excess was not determined. In the charges brought up by prosecutor Sargsyan the stolen fuel is described as “diesel fuel accumulated due to economical usage and hidden at the military base Nairi.” Narek Ayvazyan was not forgiven for obstruction of Khachaturov`sbusiness. Khachaturov’s people created unbearable conditions for the 23 years old boy, tried to cause him to commit suicide, deprived of salary, seized his officer`s certificate, and adjudicated him. The court of general jurisdiction of Ararat and Vayots Dzor regions, presided by Judge Armen Bektashyan, found the officer guilty in violating the rules of military duty and service and abuse of power. The Criminal Court of Appeals, using the NA decision on amnesty, released the senior lieutenant from serving the sentence, but he was not able to continue his military career anymore or to restore his health. The thieves and the commanders concealing their actions were not held liable. In a spring night of 2010, soldier Valeri Muradyan was killed in Stepanakert. This is one of the most mysterious murders in our army. The boy`s body was found in the courtyard of the military unit, hanging from a pole, knees touching the ground. Despite this fact, the investigators concluded that he had committed suicide. The official reason for suicide was Valeri Muradyan`s hanging himself because of 3,000 AMD of debt. 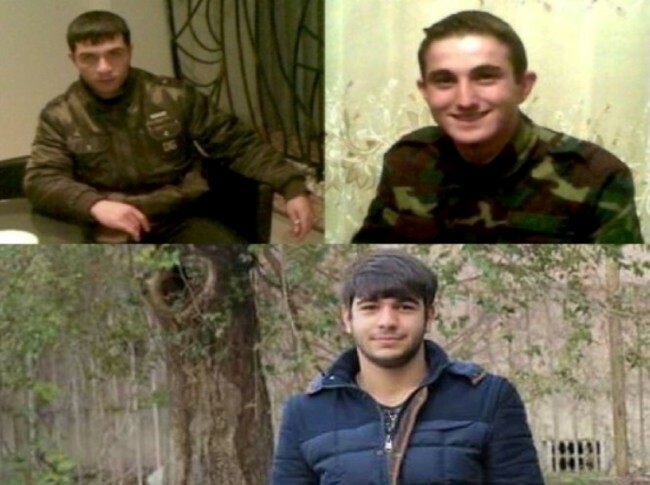 According to Valeri Muradyan`s mother, Nana Muradyan, she had called her son a few days before the son`s death and offered to send 12,000 drams to the military unit, but her son had refused, saying he did not need it. During her eight-year long struggle for revealing the real circumstances of her son`s death, Nana Muradyan has repeatedly raised the issue that her son witnessed numerous wrongdoings at the military unit. According to Nana Muradyan, some people attempted to involve his son in fuel theft. “My son called home four days before the incident, saying he had witnessed theft of fuel. He said that he was offered 3,000 drams but refused to cooperate. I said, “My boy, do not deal with them.” Four days later my son was killed.” Valeri Muradyan`s murder has not been disclosed so far. 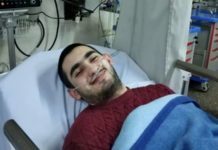 Investigation of the murder, or, according to the official version, suicide case, was initiated by investigator Apresyan from Stepanakert; four months later the case was handed to Arman Tamrazyan. The preliminary investigation was delayed for about two years, the victim`s successor`s advocate Seda Safaryan filed a complaint for concealing the inactivity of investigators. The case was initiated under Article 110 (inciting suicide), but “inciters” are still unknown. There were numerous bruises and traces of violence on the boy’s body that the mother had seen, but the forensic doctors did not register them. Fuel theft investigation never took place. 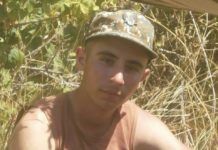 Soldier Hovhannes Petrosyan died from a gunshot wound in Ijevan military unit on April 25, 2016. A case was filed under Article 110 covering suicides or inciting suicides. But the boy’s father, Vachik Petrosyan, did not believe in this version. He told the media representatives that his son was killed for preventing fuel theft. The soldier has told his father about the tense relations between his commanders and himself, about a conflict with one of the officers. “The officer is tense with me, he is pursuing me, I have fastened the petrol container so that he cannot steal any gas,” Hovhannes Petrosyan has told his father. The father told us that Hovhannes was a disciplined soldier who opposed injustice. According to the father, Hovhannes noticed that gas was stolen from the car attached to him, and locked the gas tank so that nobody could touch it. Private Hovhannes Petrosyan`s body was found in the back of the car attached to him, on boxes full with arms and ammunition. The seal was torn off. There were two gun injuries on his face–on the nose and forehead. The Defense Ministry and the prosecutor`s office refused to give clarifications on this case. The soldier`s father also refused to give names, hinting that he knows a lot.